Last modified on January 7th, 2015 by Joe. Be the first to know about what’s happening in the world of Java and keep yourself updated. Twitter is an excellent resource for the latest trends. I have listed out the top 10 Twitter handles that we should follow. Add your preference in the comment. 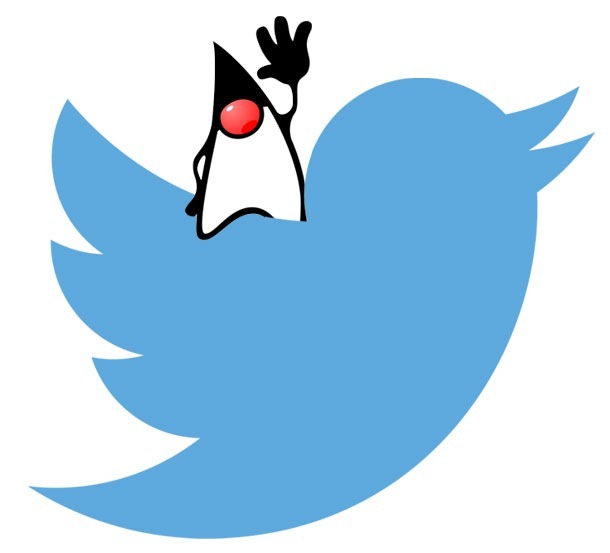 The official Twitter stream of Java language. It is constantly updated with the latest news in Java. We also get Retweets from around the Twitter world. Java Magazine is a bimonthly, digital publication covering all things Java. This is the official Twitter handle of the magazine. You will get know how Java is being used widely among other news. The official Twitter handle of the open-source implementation of the Java Platform, Standard Edition, and related projects. If you are interested in contributing to the JDK development, best place to be. JavaOne is an annual conference to discuss Java technologies among the Java developers. To stay updated about the Java One Conference related updates and sessions follow this handle. This is the official Twitter handle of the Java Enterprise Edition (Java EE). Mark Reinhold is the Chief Architect of the Java Platform Group at Oracle. Brian Goetz is the Java Language Architect at Oracle. Adam Bien is Java Champion and tweets a lot about useful Java stuff. NightHacking is hosted by Stephen Chin, a famous Java evangelist. This handle links to interviews with famous Java people. Joshua Bloch is author of the book Effective Java. It is important to stay informed and these Twitter handles will serve that purpose. Follow these handles and rock Java. Comments on "10 Twitter Handles Every Java Developer Should Follow"
thanks joe sir for sharing this and i am happy that 8 out of the 10 handles have been already followed by me and now i get to know about the 2 others. You have been doing great stuff by posting articles and all and yes java developers like me would love to see more from you. thanks joe sir for your kind work and keep this going. @heinzkabutz is handle of Dr.Heinz K, Java Champion, you should read his blogs and follow him to have java insights with great detail. Comments are closed for "10 Twitter Handles Every Java Developer Should Follow".